Keep your data close to you with the Medallion custom USB drive. This circle shaped drive is made out of resilient plastic and features a swivel design that allows for easy access to your drive. 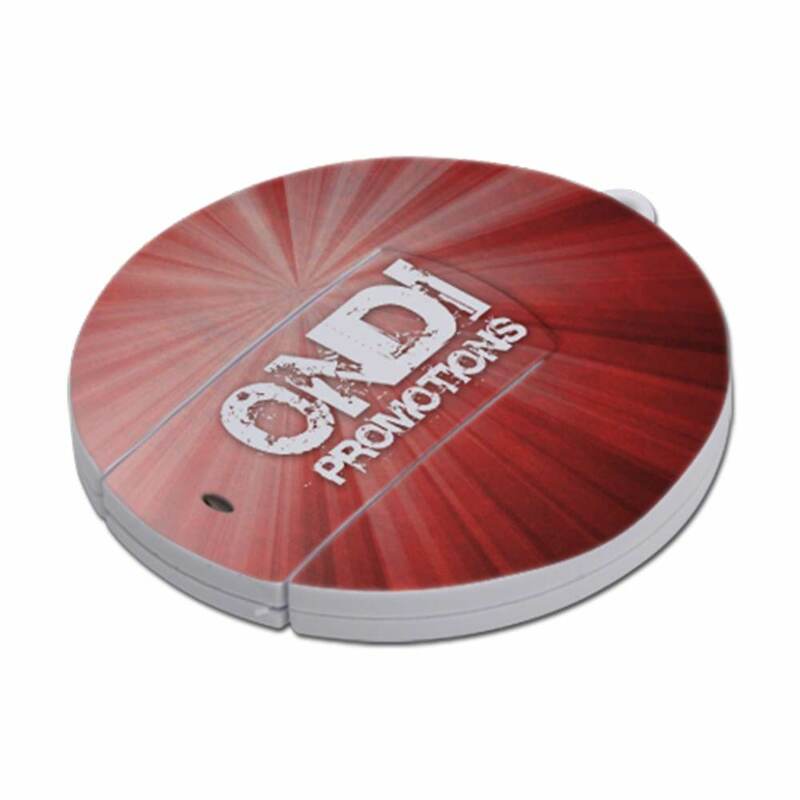 It comes with FREE 4-Color Printing, so you can personalize your Medallion by adding your organization's logo to the drive! And with the drive’s large imprint areas, your logo is sure to stand out! 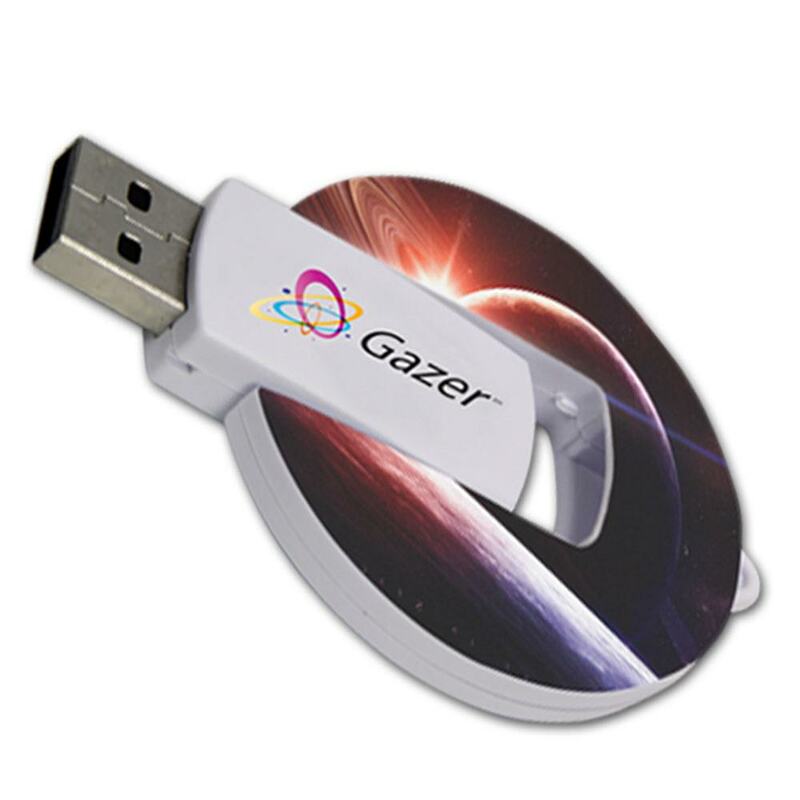 That’s why the Medallion is the ultimate promotional USB! 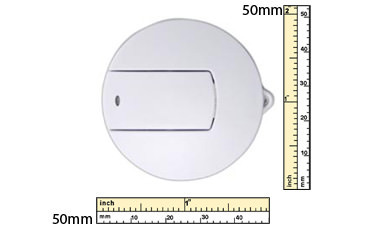 The Medallion also comes with a built-in key loop. Available with FREE shipping! When it comes to flash drives, why go square when you can go round? 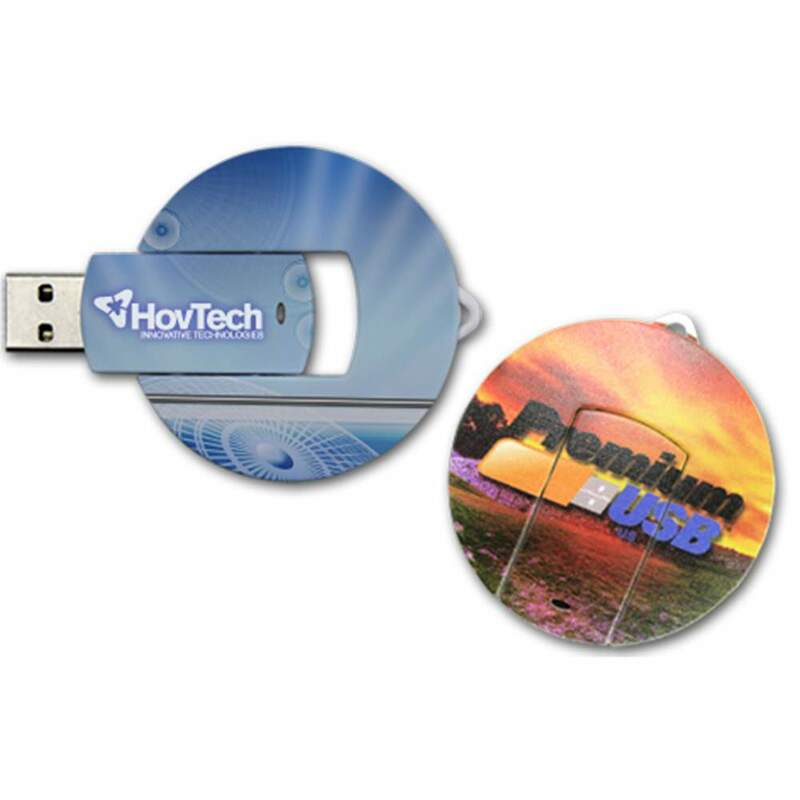 Our oval shaped Medallion custom USB drive is sure to impress with its dynamic design. 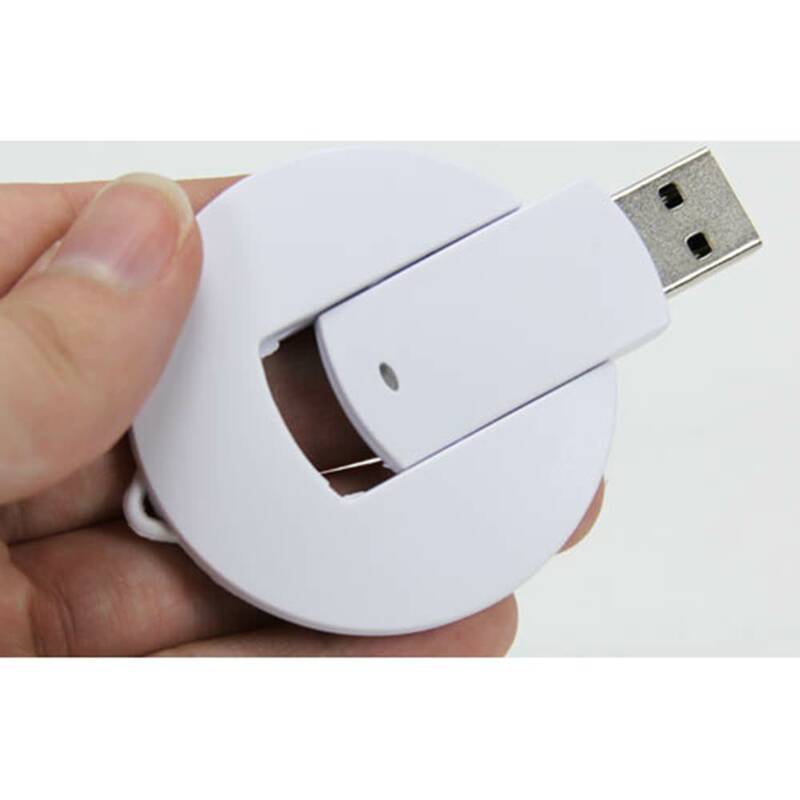 It features a swivel design that allows for easy access to your drive and protects it when it’s not in use. The custom Medallion is made out of a resilient plastic and has large imprint areas on both sides of the drive. 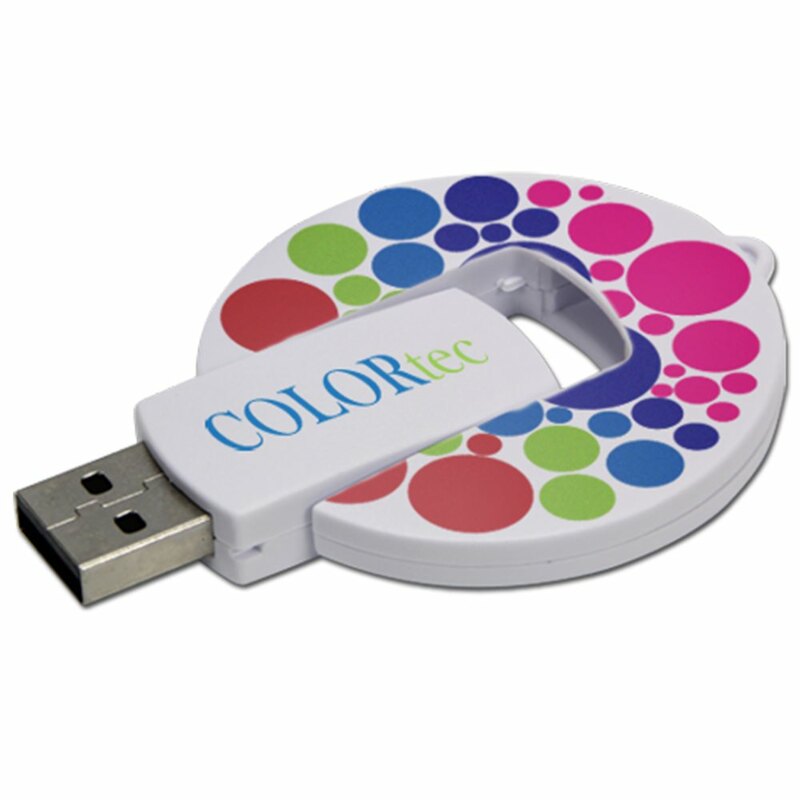 With our FREE 4-Color Printing, you can personalize your drive by getting your logo or personal brand imprinted on the large printable area of this eye-catching circular device! The Medallion comes with a built-in key loop, which makes it easy to attach to a belt loop, keyring, laptop bag, strap, or necklace! This customizable Hi-Speed USB has data storage capacities ranging from 128MB to 32GB, perfect for storing documents, pictures, videos, multimedia, presentations, music, and other important files. It has a shock resistance of 1,000G, up to 10 years of data retention, and a limited lifetime warranty. The Medallion is available with FREE shipping. The turn time for customizing it is within 10 business days, so it won’t be long before you’ll be able to present your data with high style! Keep your most important information close to your heart with the Medallion custom USB drive.